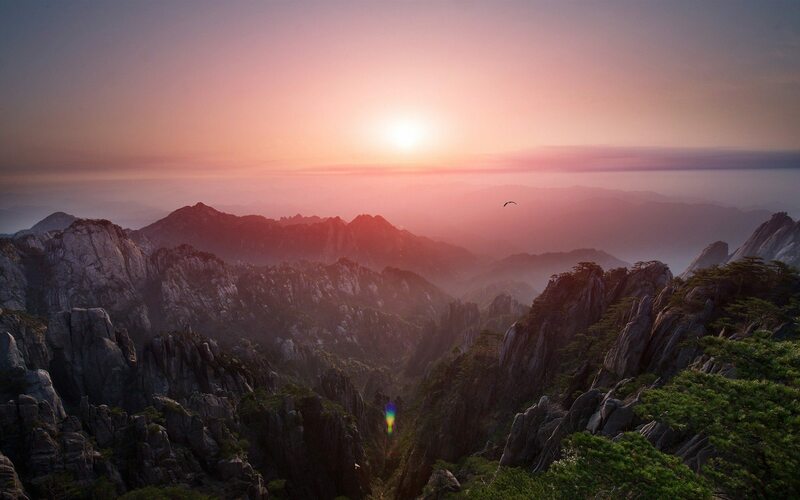 Fly to Huangshan city, located in southern Anhui Province. Upon arrival at Huangshan airport, the guide will pick you up and then transfer to hotel. If time permits, walk along the Ancient Tunxi Street. 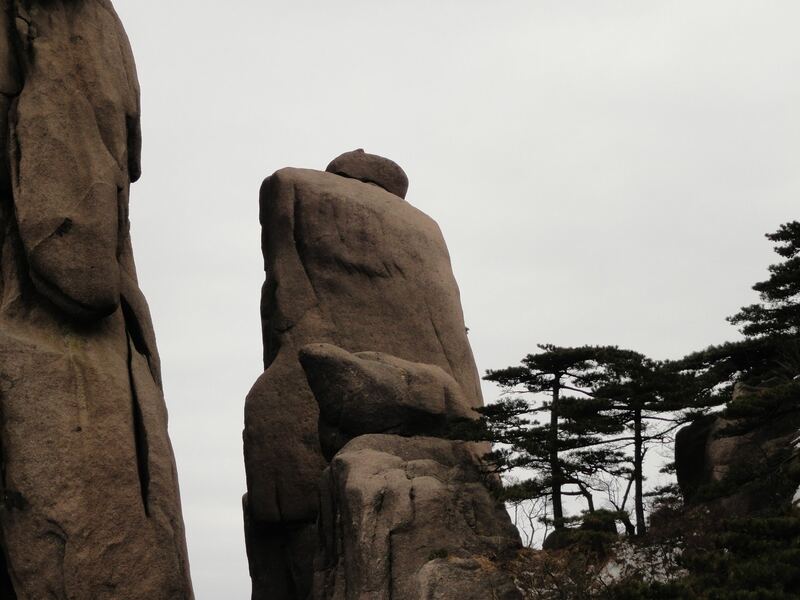 Huangshan City is well-known for Mt. 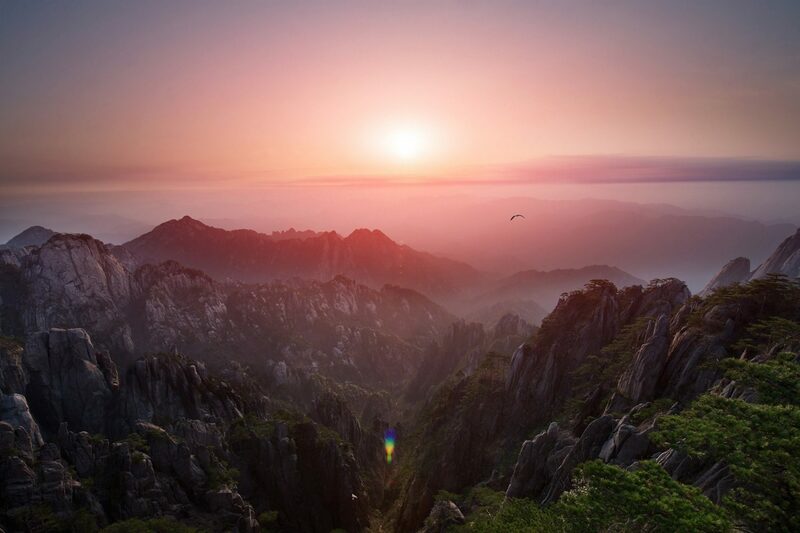 Huangshan, also called Yellow Mountain. 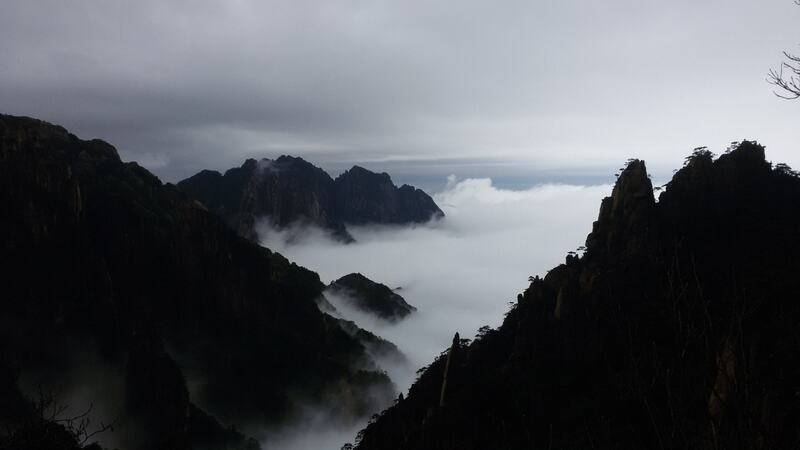 Today you’ll have a full-day tour on the Mount Huangshan. 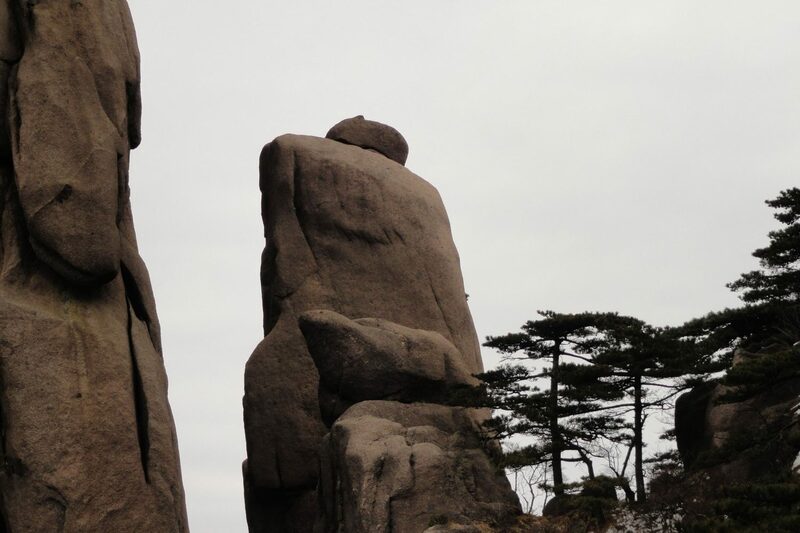 Located in the southern part of Anhui Province, Mt. 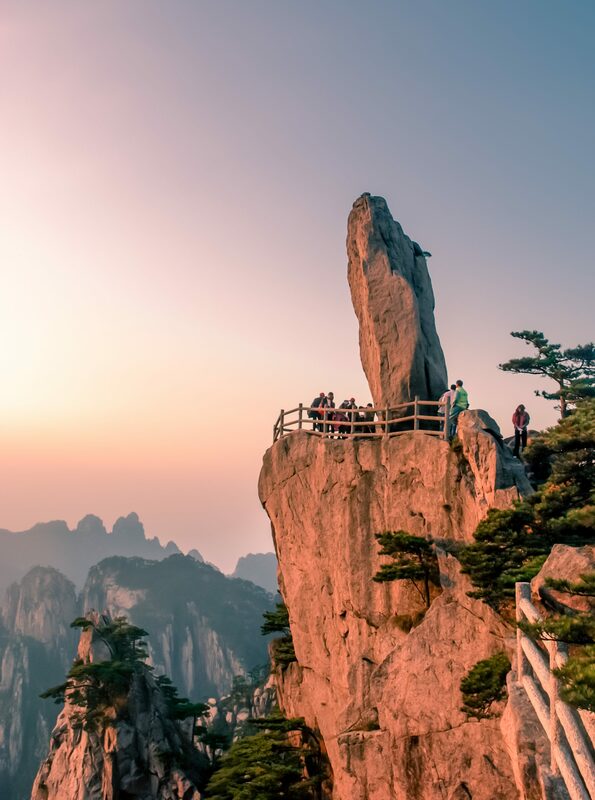 Huangshan is undoubtedly China’s most celebrated mountain for all its grandeur and beauty, which was declared a World Natural and Cultural Heritage in 1990 by UNESCO Heritage Committee. 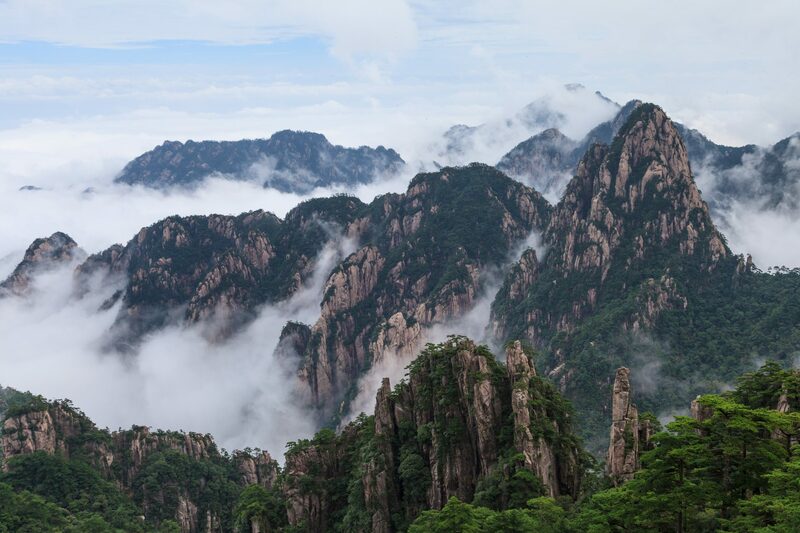 Today you’ll enjoy an exciting day visiting Huangshan Scenic Area, where you will explore the “four wonders” of Huangshan, including imposing peaks, spectacular rocks, odd-shaped pines, and a sea of clouds. 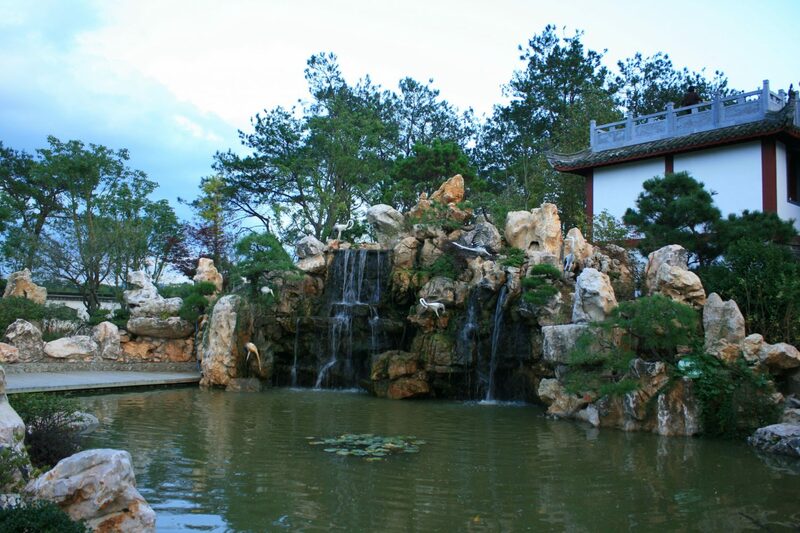 Visit spots like the Xihai Grand Canyon, Bright Summit, Flying Stone. On the way beck to the hotel, stop at Cloud Dispersing Pavilion to capture the spectacular sunset view. In the morning, enjoy the mountain view from the North Sea. 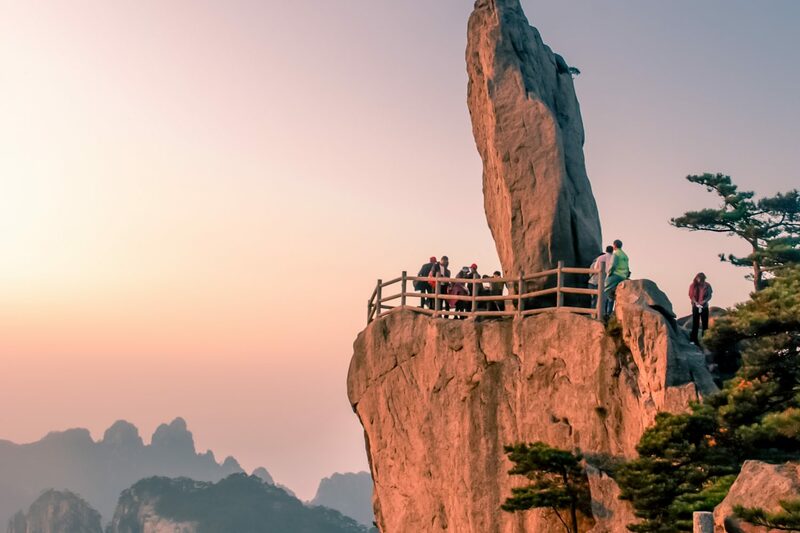 If it is a clear day, you can photograph the stunning sunrise at the Lion Peak. Lastly, catch the cable car down the mountain and drive to Yixian County. An exciting day awaits you! 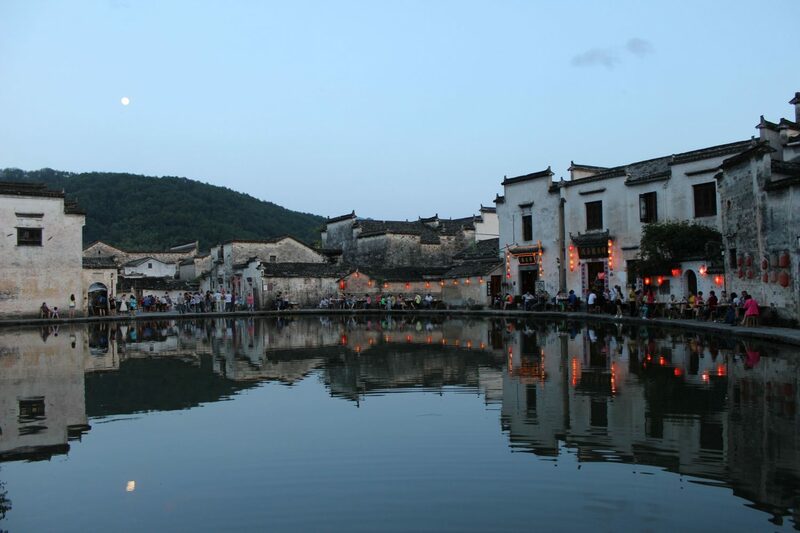 Today you’ll visit Hongcun Village, a UNESCO World Heritage Site. Hongcun Village, an ancient town over 800 years old, and is an idealized village in a landscape painting, which enjoys a reputation as “The Chinese Town in the Pictures”. The whole village is like a leisurely ox standing among the mountains, which offers good reference material for photographers. Then, drive to Shexian County to see the Tangyue Archways, a group of delicate ancient buildings symbolizing the merits of the local people, such as loyalty, filial piety, chastity, and righteousness. Today the guide and driver will transfer you to the airport. Board your flight for next destination. 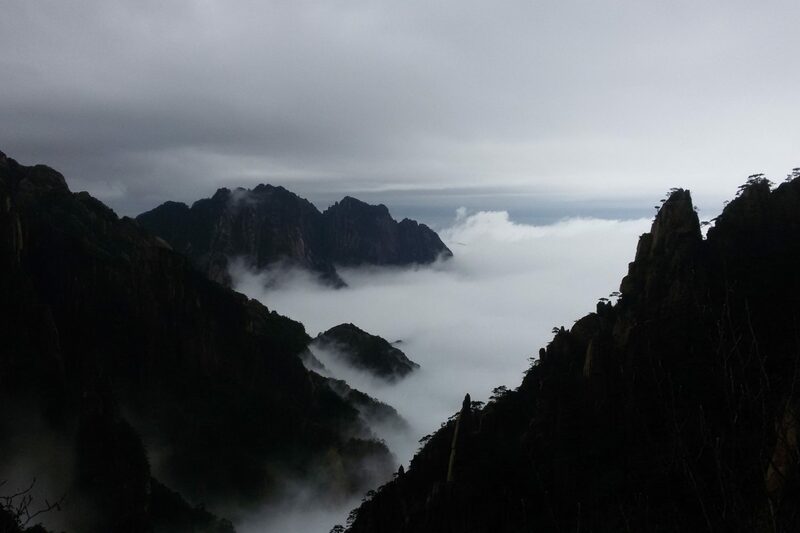 Your Huangshan tour ends.